Alabama is filled to the brim with gorgeous natural sites, stunning beauty and a large number of indigenous animals. You can find breathtaking mountain views and peaceful, cascading waterfalls, and along the Gulf Coast, there’s the sea beach for sunbathing or swimming. Great hiking spots, with trails of varying lengths, can be found all throughout Alabama. 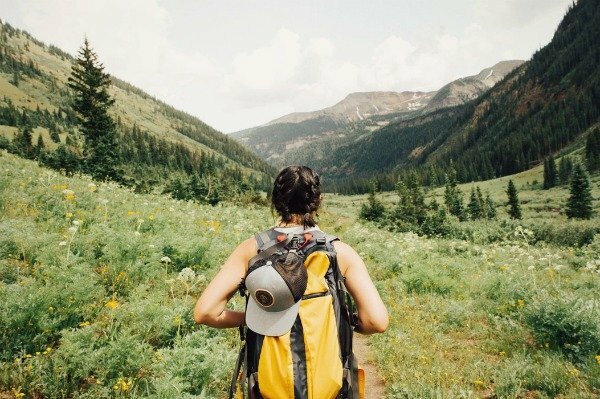 In this article, we’re going to introduce you to 15 of the best hiking trails in Alabama, followed by 7 more that didn’t make our “best of” list but are definitely still worth a mention. To compile these hiking trails, we looked at current lists of Alabama’s best hiking trails, then carefully selected the ones we felt would offer the best, most varied experiences. While most of these trails in Alabama are on the easy-to-moderate side, a select few are only for the more experienced hiker. Also, many of these hikes are notably gorgeous during the wintertime, when a light dusting of snow makes the natural setting all the more magical and peaceful. 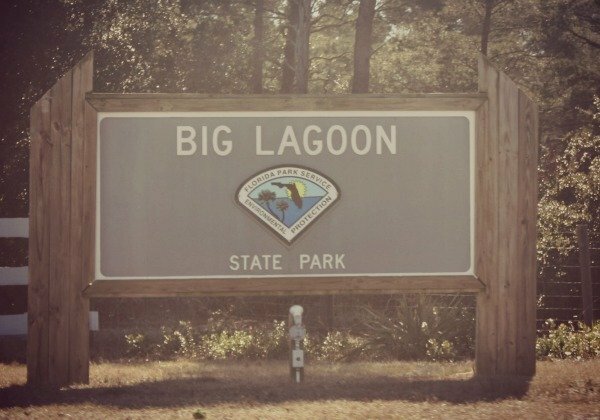 There are 5 miles of trails at Big Lagoon State Park, bringing you across wildflower-filled wetland and to the banks of Grand Lagoon and Long Pond. You’ll also reach the Big Lagoon Observation Tower, where you can take in a must-see, panoramic view of the lagoon, the Gulf and the park. On warm summer days, head to the park’s beach to go for a swim. The Bon Secour National Wildlife Refuge has over 6 miles of trails that wind through bird-filled maritime forests and wildflowers blooming in the wetlands. Don’t miss taking a stroll on the banks of Gator Lake and Little Lagoon Lake, where you’ll see the bright blue sky beautifully reflected in the water. The easy, 4-mile, out-and-back Pine Beach Trail starts at the maritime wetland and forest, then makes its way through a series of sand dunes. About one mile into the hike, you’ll come to a two-story platform, which provides a great opportunity to view birds and wildlife. You’ll eventually arrive at the Gulf, with its white-as-sugar sandy beaches. Here, you’ll see dozens of seabird species, and you may even catch a glimpse of an endangered species, like the loggerhead sea turtle. Keep in mind that the dunes are the home of different wildlife species and they also help protect the mainland from storm damage. The dunes are federally protected, so it’s always best to stay on just the marked trails. 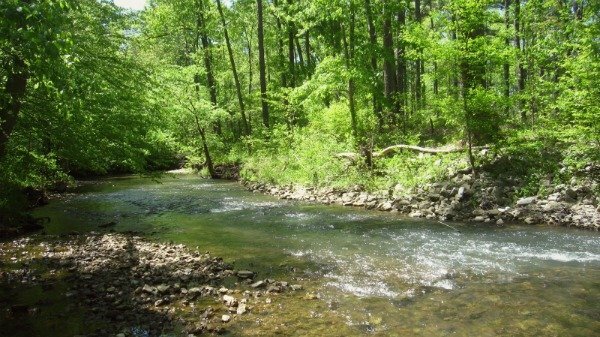 Cane Creek Nature Preserve is an ideal place to hike no matter the time of year thanks to its streams and interesting geology. There are over 15 miles of intertwining trails here that offer a seemingly endless array of hiking possibilities. Head to The Point for a panoramic view of the hills and the canyon, and see if you can spot eagles or hawks overhead. If you go into the canyon, you’ll come across a number of rock shelters, some of which have waterfalls. 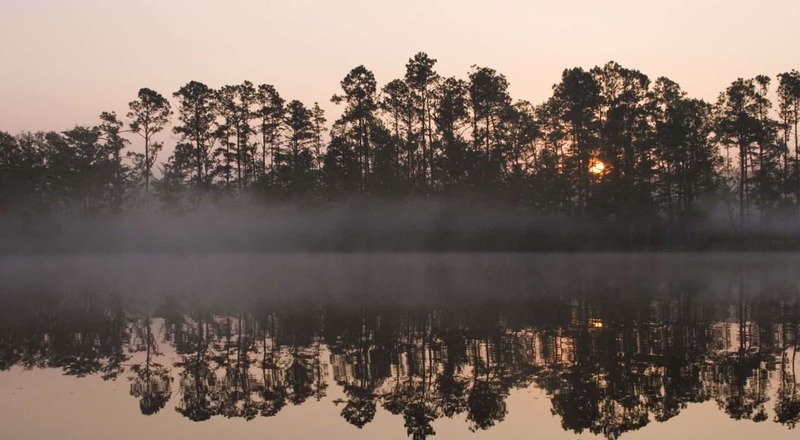 The Conecuh National Forest has a number of excellent trails for backpacking and day hiking, including the 2.2-mile Pond Loop Trail, which combines many different segments of the Conecuh Trail. Start by looping around Open Pond, then circle the dark waters of three ponds: Ditch, Buck, and Alligator. Here, you may spot ducks, wild turkeys or quail. If you don’t want to head home yet, there’s a well-liked campground at the Open Pond Recreation Area. Note that during the winter, some of these trails are shared with hunters. The difficult, 16-mile DeSoto Scout Trail starts at the Corner Scout Reservation, makes its way through DeSoto State Park, and ends up at the Little River, which is in the Canyon National Preserve. This trail is gorgeous, but it has a lot of rocky points, so you’ll want to make sure to wear rugged hiking boots. For an easier hike, head to the 3.1-mile Falls Loop, which takes in three of the trails: Laurel Falls, Lost Falls and Azalea Cascade, each of which has a waterfall that cascades over sandstone rocks. DeSoto State Park is gorgeous, but its most scenic if there’s been a little snowfall over the holidays. The 1.8-mile Flagg Mountain Loop, which is especially beautiful after snowfall, is made up of two joined trails, the Yellow and White trails. There’s an extra .6-mile out-and-back trail you can add on, which you’ll find at the point where the two trails join. If you take this trail, you’ll be able to see a stretch of log cabins that were created in the 1930s for the now-abandoned project of creating a state park. The Florida Trail at Fort Pickens is rife with both Gulf Coast views and history. Fort Pickens is the largest of the four strongholds that were built to defend Pensacola from invasion, and its history dates back to right after the War of 1812 and goes through World War II. The Florida Trail stretches for a while, but there’s a nice 2.2-mile, out-and-back walk that goes from Battery Worth to the fort. If you want, you can also take a short side trip to the Pensacola Bay. The park’s 5-mile Mountain Mist Trail, right below the plateau of Monte Sano, is full of dense woods. Though this trail is short, it’s not easy – there are a lot of rocky areas, so it’s best for more experienced hikers. Another option is the Plateau Loop, which circles the top of Monte Sano Mountain. There are pretty views here, especially during the winter, and you’ll be walking along easy, level terrain. The 5.4-mile double loop includes the 1.9-mile North Plateau Trail and the 3.5-mile South Plateau Trail. Along the North Plateau, there’s an overlook, as well as a short side trail by the picnic area that will bring you to a waterfall. Along the South Plateau, there are a few pretty overlooks, particularly at O’Shaugnessy Point at about the halfway point. If you’re in the mood for another historical hike, the trails at the 1,300-acre Naval Live Oaks preserve run along the Gulf Islands National Seashore. Head out for a 6-mile hike that includes a few paths: the Old Borrow Pit Trail, Beaver Pond Trail and Andrew Jackson Trail (which is where General Andrew Jackson led his troops during the War of 1812). The preserve is also the site of the first national tree farm in 1828, when the Navy needed wood for its fleet. 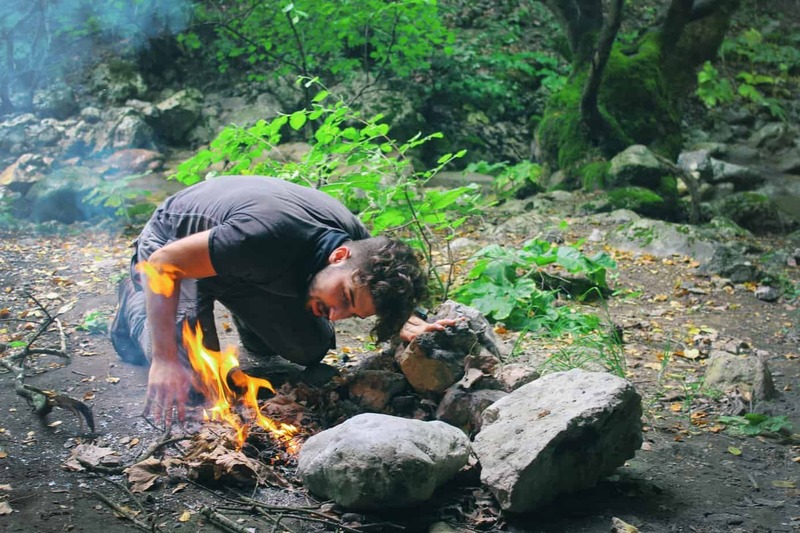 Even some experienced hikers consider this trail difficult, so you’ll only want to try it if you know what you’re doing and you have the right gear, including reliable hiking boots. If you’re able to handle it, you’ll be treated to views of both man made and natural scenery, including carvings that date back to the Civil War, plus boulders, caves and a dam. Adventure junkies will love accessing the 90-foot Noccalula Falls. The Perdido River Trail parallels the Perdido River for 20 miles, through picturesque (and dark) white cedar swamps. The trail makes its way to sandbars at points, which are the perfect spots to stop for a snack or go for a swim. As you hike, look up from time to time – you may spot a bald eagle flying overhead. There are also a number of trailheads along the trail that you can hop on and off if you want a shorter hike. For example, the first part of the trail (from the south trailhead) is a great 4-mile, out-and-back hike, particularly lovely during the winter. There are trail shelters along the trail that are available on a first come, first served basis, or you can opt to camp on the sandbars near the shelters. If you want to explore the area more, head to the Betty and Crawford Rainwater Perdido River Preserve, which is just south of the Perdido River Trail. This lovely preserve has boardwalks and footpaths that take you through scenery including longleaf pines, rare flowers and the Black Lake. Bring your camera – the Black Lake is still enough to reflect a near-perfect mirror image of the sky and surrounding foliage. There are lots of hiking routes here – 45 miles worth – that are frequented during the winter (though many are open year-round). You can find both easy and challenging, short and long hikes in the Wilderness Area, with sandstone canyon walls reaching high above you. Sipsey River Trail, also called Trail 209, has boulders, caves, and waterfalls, plus a large variety of wildflowers. Though the trail is 12.8 miles long, it’s highly accessible and easy in terms of difficulty, and it’s also dog-friendly. For a longer hike, take the 22.3-mile Sipsey Loop Trail. You’ll pass sites like East Bees Branch Falls, Eye of the Needle, and Ship Rock. Hikers aren’t the only ones who frequent this trail – you may run into people who are bird watching or on another type of nature trip. The Talladega Pinhoti Trail is one of the longest in Alabama, and it’s common to see wild turkeys as you go along. The trail is in the Talladega National Forest, which connects Alabama to Georgia. As a result, the trail actually is in both states, almost equally, with around 170 miles in each state. There are stunning views on practically every part of the trail, and you’ll go past streams and waterfalls, and through valleys. The Talladega National Forest as a whole is well-known for spectacular mountain views. While the Walls of Jericho Trail isn’t very long at just 3.5 miles each way, it is quite interesting and different compared to the other hikes on this list. It includes a deep plunge of around 900 feet, where you can look at the strange rock formations and charming waterfalls. We’re not done! Alabama has so many hiking trails that we wanted to include just a few more. While these didn’t make it to our main list, they each have something notable that may make you want to add them to your “to hike” list. 1. 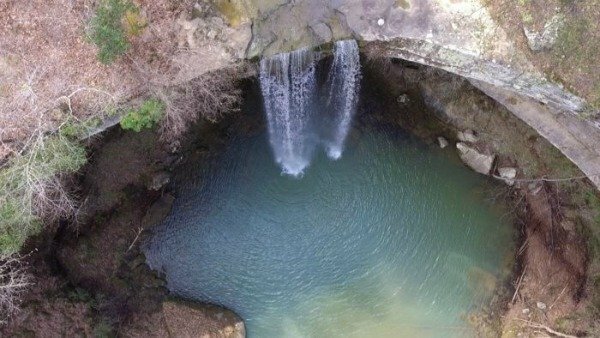 Caney Creek Falls Trail: This 1.7-mile, out-and-back trail is great for hiking year-round, is doable by any skill level, and will bring you to a gorgeous waterfall. 2. 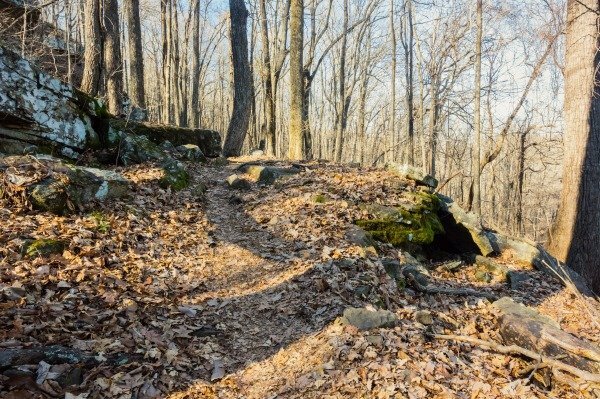 Cherokee Ridge Alpine Trail: This 4-mile trail is one of Alabama’s most pleasant, running along Lake Martin and offering panoramic views of the whole lake. 3. Dismals Canyon: This 1.5-mile trail has many of the same wilderness pleasantries as the others on this list, but what makes it notable is that it’s very family-friendly. 4. Flint Creek White Loop Trail: At 10.5 miles, this loop trail isn’t just for hiking – it also attracts horseback riders and mountain bikers. 5. Oak Mountain State Park Red Trail: If you want to spend the whole afternoon with nature, take the 17-mile Red Trail, which is great for novice hikers, plus kids, dogs and avid mountain bikers. 6. Odum Scout Trail: This trail, which is at Cheaha State Park, wraps around Cheaha Mountain and to High Falls. Not only will you see wildflowers here, but you may also catch a glimpse of deer, foxes or wild pigs. 7. Piper Interpretive Trail: Located at the Cahaba River National Wildlife Refuge, this 2.3-mile, out-and-back hike has impressive pines, rocky bluffs and views of the river. 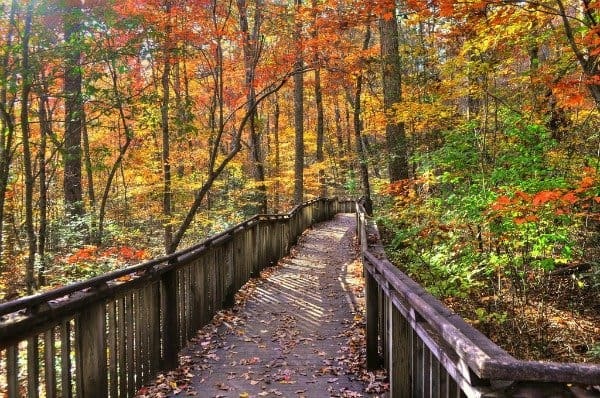 Did we miss any fantastic Alabama hiking trails? Tell us about them!